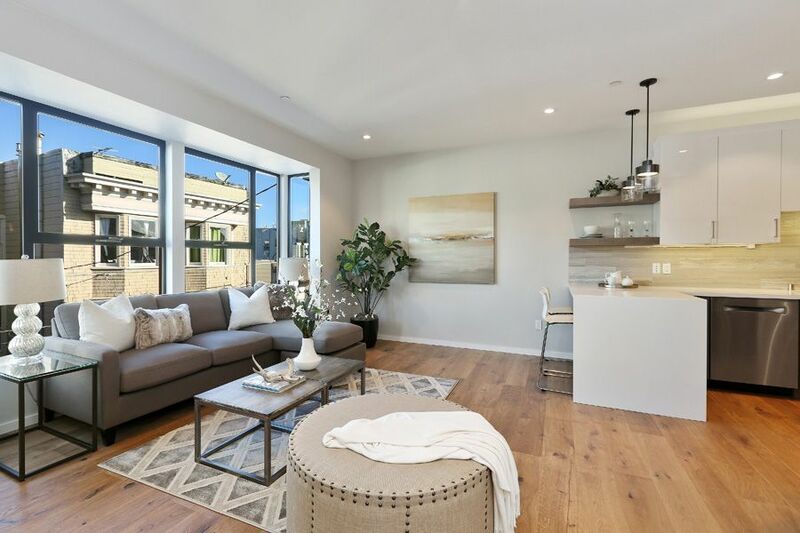 Stunning Newly Built Luxury Condominium in Hayes Valley. Highly sought after location just off of Octavia and Hayes streets. 3bd 2ba residence with a penthouse master suite and north and south facing decks with views of the city. Kitchen features Ultracraft cabinetry and Caesarstone countertops. High-end appliances including Bertazzoni range and hood, built-in wine cooler, dishwasher, and microwave. Numerous features including, hydronic radiant heat, wide plank oak hardwood flooring, EV charging, pre-wiring, 1 parking space, and a separate water meter.